30 years ago this month, a group of students walked along Lai Wo Lane, through a large set of gates at the end of the road and waited excitedly on the playground for classroom doors to open in order to begin life at their new school. 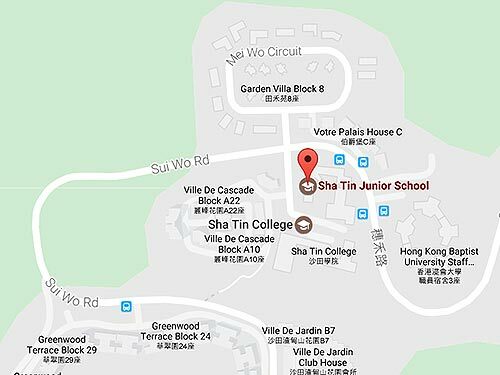 Sha Tin Junior School was ‘born’. Looking at an early staff photograph, a team of teachers and site staff (less than 20 in total) were supported by the founding Principal, Gordon Lewis and Vice Principal, Ron James. Small beginnings indeed for our school which now boasts over 100 staff and 900 students. As we acknowledge our 30 Year Anniversary, our thoughts will be with all students, staff members and parents who have contributed to the life of the school and in doing so have helped develop the vibrant learning community we now enjoy. We have made some small structural changes to our Programme of Inquiry in order to provide more flexibility for student learning. This year, Year Groups will be starting and finishing their Units of Inquiry at different times and the length of each unit will vary in response to learning needs. To provide clear information for parents, teachers will send home an information page for each Unit of Inquiry as it starts. This information will be included in the regular cyclical email to parents. End of Unit reports will go live on Gateway soon after the completion of each Unit of Inquiry. Parents will be notified when this happens. Please note that the reports will no longer go live to all parents on the same day. We have published a breakdown of the SJS Programme of Inquiry, under the Organizing Themes. This can be found later in this newsletter and provides an overview of the year group dates. The Central Ideas and Lines of Inquiry for each unit illustrate how the learning develops from Year 1 to Year 6. We continue to move towards developing a suitable online portfolio platform for students to show and reflect upon their understanding of their learning processes and progress. Unfortunately, the development process is taking a little longer than expected. In the meantime, Year 1 students will continue to use a ‘paper-based portfolio’ while students in Years 2-6 will develop a Learning Journal. All students will bring home their Portfolios or Learning Journals at the end of each unit to share with their families. The learning illustrated will help place support and give a context to the assessments outlined in the End of Unit Reports. Please ensure that your child brings their Portfolio or Learning Journal back to school – ready for their next unit. We will continue to use Seesaw as a platform to share evidence of learning as well. Later this term, we will be offering a parent workshop to explore the role of learning journals. We will also engage more closely with assessment. This will be confirmed at a later date. Earlier this week you will have received a separate notification regarding a parent workshop entitled ‘Positive Approaches to Parenting’ to be held on Thursday 20 September. The session will be run by Kristy Elliott. Kristy’s work has underpinned much of the thinking around our Positive Relationships Policy at SJS. This was developed last year to replace our ‘Behaviour Management’ policy and outlines a more restorative approach to our response to children’s misbeviour. If you have some space in your Thursday evening timetable, I would highly recommend coming along to the workshop to learn about the practices and research on which the approach is based. Kristy will be in school on Thursday 20 September and will work alongside teachers in some of our classes, demonstrating and modelling teaching techniques. School will be closed for students on Friday 21 September and Kristy will run a series of workshops and seminars for all SJS staff as part of our teacher training programme. 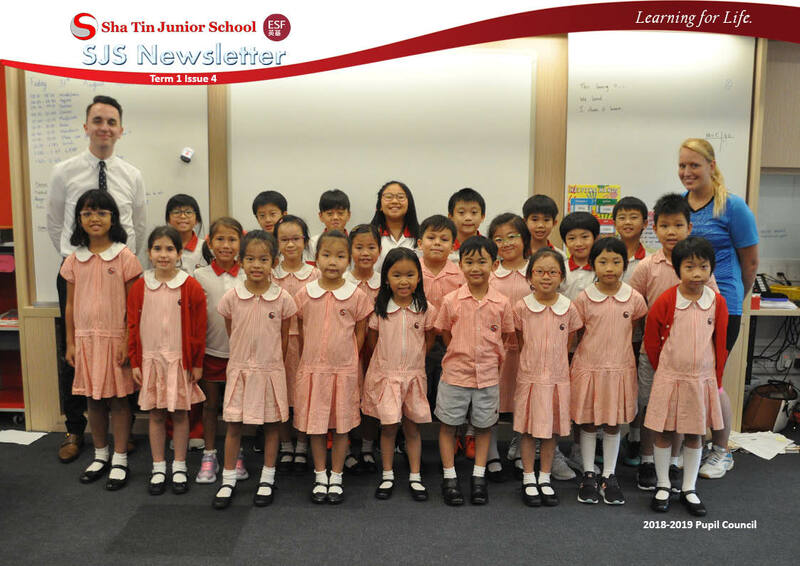 While she is in Hong Kong, Kristy will run similar programmes for 5 other ESF schools. The membership of the Student Council – Years 2-6 – has been finalised and the students have already started discussing their plans for the year ahead. The Student Council is a very important part of the school leadership structure, representing the voices of the students in the decision making processes. They meet regularly and discuss issues that are of importance to them and their class mates. A major priority for the group is to re-design the undercover area of our playground. The group surveyed all students last year, collated and prioritised the ideas put forward and have shared a proposal for funding with School Council and PTA. We are all very excited about the plans they have put together. Year 1 representatives will join the council later this term. Congratulations go out to our newly elected House Captains. We had close to 50 students in the initial stages of the process. This year all of the students wishing to become House Captain were interviewed by Year 9 Student Leaders from Sha Tin College. The interview was quite formal and students were required to reflect on their contributions to the school over the last few years. After the interviews, each student needed to make a speech to 150 students in their House. It was an extremely challenging process but a clear indication of the strong leadership capabilities of SJS students and their willingness to get involved in all aspects of the school. I look forward to working with this dynamic group in the organisation of the house programme, presenting assemblies and representing SJS at a variety of functions over the course of the year. Teacher Led Clubs will begin the week beginning October 1st. A list of clubs for all three terms is available on our Parents as Partners page on VELoCity. Students will sign-up for clubs next week. Teachers will be in touch for any student involved in an after school Teacher Led Club shortly after sign-up. One of the new clubs this year will be the Performing Arts Club (PAC). PAC will no longer be an enrichment activity but will be running on Wednesdays after school from 3:00 – 4:30 pm. Auditions will be held in November and rehearsals will start in January. There will also be clubs associated with the PAC such as Set Design and Lighting. More information about the PAC will be sent closer to Auditions. We also have various sporting teams that represent SJS at ESF competitions. Most of the teams involve students from Years 4, 5 and 6 and trials are held at the beginning of the term. Students are informed of the trials and reminded to wear their P.E. kit on the day of the trials. Some of the clubs will be run as an enrichment activity taking place during the school day on a Friday. Some will run either after school or during playtime. Application period: 1 to 30 September 2018. Please click Central application for Year One. Please note that siblings of students already attending an ESF school will also need to make their applications during the central application period by 30 September 2018. We are interested in inviting high energy, hardworking personnel to work for us as supply Lunch Supervisor. If you are interested, please send your resume to Ms. Kari Yeung via email info@sjs.esf.edu.hk . Candidates will be shortlisted for an interview. The followings are available to read on the PDF version.